The Nicols 1300 F has 5 cabins and spacious living rooms. Your families and friends will be welcome on board. You do not need any license to sail this boat! 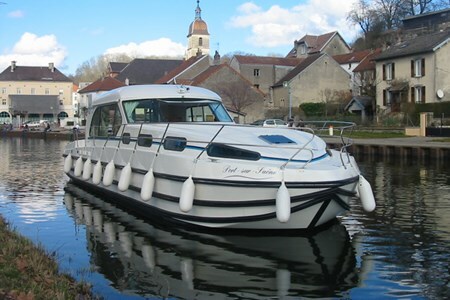 Interior equipment: - 5 cabins, 4 with double bed, 1 with two single bunk-beds. - Caution, 2 cabins with 100 cm headroom above the bunk. - 1 shower, 1 electric toilet, 1 shower-electric-toilet.